Residential property management has a significant amount of overlap with commercial property management. However, there are a few challenges that are more common with residential properties than they are with commercial properties, so it is important to find a property management software that’s specifically designed for residential properties. While cost alone shouldn’t be the only factor in your choice of residential property management software, it is an important consideration. The trouble is, residential property management software costs are frequently treated like secret information by software developers. Many developers don’t reveal their fee structure before a consultation. Per User. The cost of the software is based on the total number of registered users there are in the organization. This model favors smaller agencies and single property managers who manage a large number of residential units. Per Unit. The cost of the software is based on how many units are being managed. This approach helps keep property management costs proportional to the level of business the company is processing, but can quickly get expensive for companies that manage a lot of smaller residential units. Flat Rate. Here, the cost of the software is the same regardless of the number of users or managed units. These fees can be billed monthly, quarterly, annually, etc. depending on the software developer. For some developers, there may be a cost savings if the property manager can commit to a longer billing cycle or contract. If you’re a single property manager managing a small handful of properties, odds are that the “per user” model will provide the best value. However, residential property management software platforms that bill by the unit will be a better fit for companies with large teams of property managers who each manage a few high-value properties. In residential property management, it’s important to lay out the ground rules for renters before they ever sign the lease agreement. Things like subleasing/subletting, pet ownership, smoking, wall coverings (paint, wallpaper, hanging picture, etc. ), lawn/garden care, and emergency maintenance need to be codified, clarified, and presented to the renters in a convenient manner. So, having a residential property management software that makes it easy for renters to review their lease agreements and other documentation from an online “renter/resident portal” feature is important. Additionally, having documentation for these rules presented during the lease application process helps to ensure renters are aware of the rules. One best practice is to have the full legal document available for download by your renters. This document should be reviewed by an attorney for its legality and enforceability. If possible, try to have a “plain language” explanation of the rules that is easy for renters to understand. Marketing residential properties is a constant concern for single- and multi-family property managers. Renters can leave at any time for almost any reason—whether the renter decides to leave on their own or has to be evicted. Whatever the reason, a vacancy is now open and you have to fill it ASAP to minimize your financial losses (empty residential properties still need maintenance, taxes paid, etc.). Because vacancies can happen with much more frequency (and often less warning) in residential property management than in commercial property management, having a solution for posting and managing property listings is crucial for residential property managers. Does it automatically publish your listings with pictures to a variety of different real estate sites or just to one? 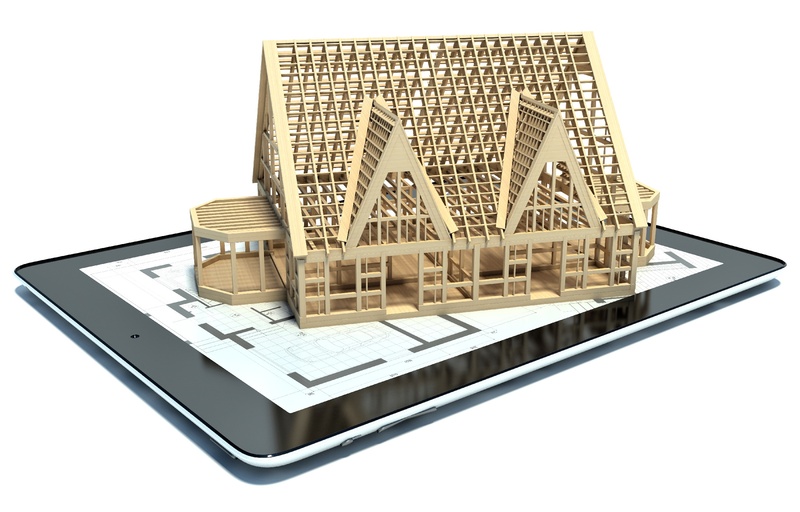 Do you need to link an existing real estate site profile? Will the solution automatically pull the listings once the residential unit is leased? The more robust the listing solution, the better. It may help to have the property management software developer walk you through how their listing management solution works. A key aspect of successful residential property management is the ability to easily communicate with renters. Keeping renters aware of upcoming inspection dates, scheduled property maintenance, billing dates, and other events helps avoid surprises that could lead to disgruntled renters. They provide advance notification that is legally required in many states for residential property inspections. Regular communication with tenants helps to build a stronger property manager to tenant relationship—improving the likelihood that renters will renew their leases. Bill pay reminders help prevent tardy rent payments. When choosing a residential property management software, be sure to balance the cost of the software against the benefits it provides. It may be worth paying a little extra for a more robust property management solution if it means saving time on paperwork—especially when you’re managing a large number of residential properties. Something that saves you six seconds a property doesn’t sound like much—but when you’re managing 100 properties, that’s 10 minutes saved. Features such as online rent collection portals can also be well worth the extra cost because of how they simplify collection and make your incoming revenue streams more stable. The best thing you can do when you’re wondering how to choose a residential property management software is to take your time, compare several options, and ask other property managers about their experiences with different software platforms. Odds are, this will help you form a reliable opinion about which software will be the best fit for your needs. If you have any questions about this blog, or about how you can optimize your property maintenance, please reach out to the HOMEE team today.